The service lists NBC, Walmart, Vodafone, FOX, and others as among already-enlisted audio advertisers, and boasts a booked campaign calendar for May 2012, noting that they "have demand for more Android apps," while promising five-minute integration with a proprietary SDK. As irritating, intrusive, and outrageous as this concept sounds, I can't help but wonder just how many developers will actually integrate it. If Airpush (or T-Mobile's ad-pushing antic) serves as any indication of users' feelings toward intrusive advertising, it seems that a network like SellARing, despite their sensational promises of wealth for developers (and their impressive arsenal of stock photography), would be poisonous to any apps associated with it. That being said, it will be interesting to see where this concept leads. 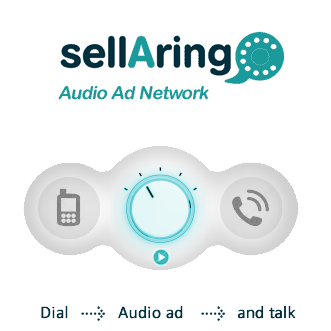 To read more about SellARing or to hear some of the planned audio ads, just take a look at their home page linked below.